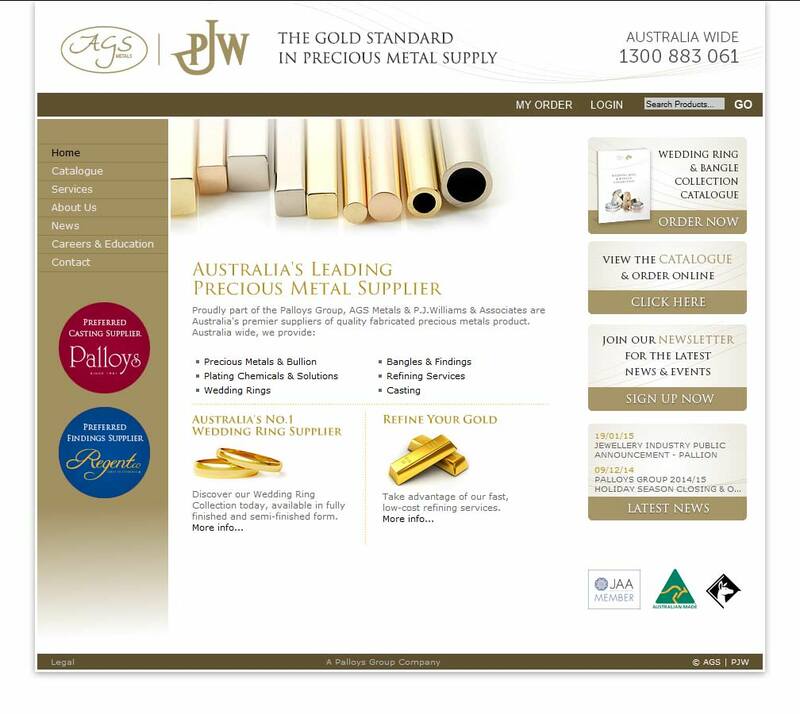 Proudly part of the Palloys Group, AGS Metals & P.J.Williams & Associates are Australia’s premier suppliers of quality fabricated precious metals product. Our range includes Fine Metals, Casting Alloys and Fabricated Products such as Sheet, Wire, Chenier & Solders and Bullion. AGS Metals are established precious metal refiners and materials fabricators and part of the newly renamed Pallion group (including ABC Bullion). Servicing the jewellery industry, AGS Metals provides refined high-grade raw materials such as granule, sheet and ingot form as well as processing scrap, returning money, refined metals or adding credit to a trade account. 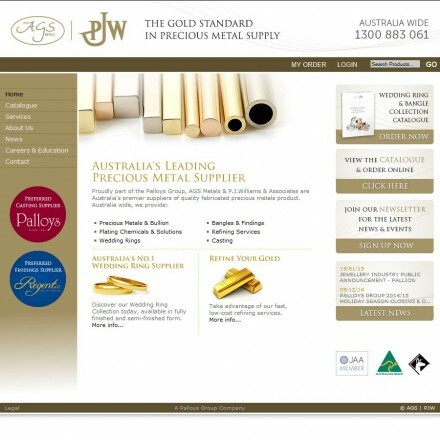 When doing business with AGS Metals - please say you saw them in Bullion.Directory. Read or add AGS Metals reviews and ratings using the "reviews" tab above. All AGS Metals details are believed to be correct at the time of listing. Please report errors here.